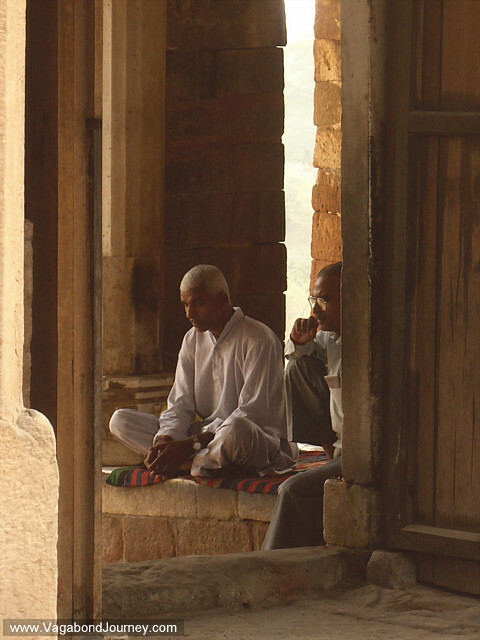 Man praying at Sufi tomb in Delhi, India. 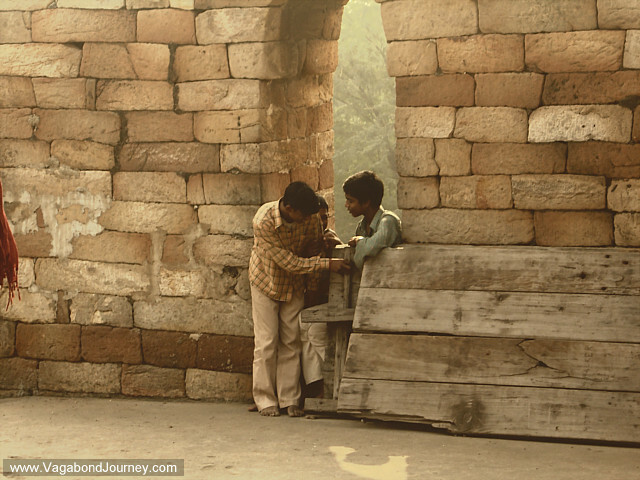 Boys in stone archway in India. 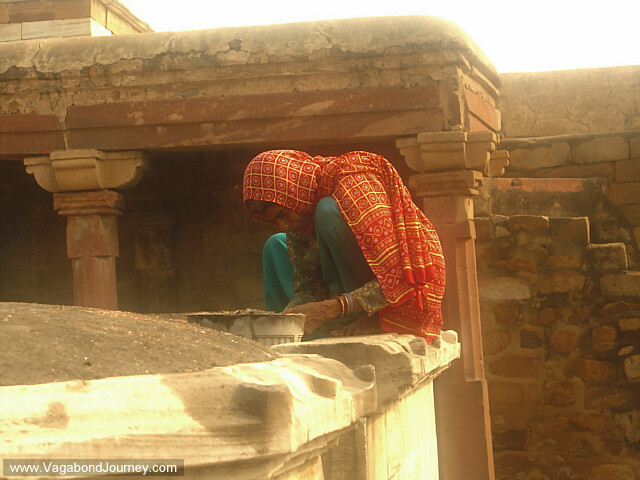 Indians preparing offerings for Sufi tomb in India. 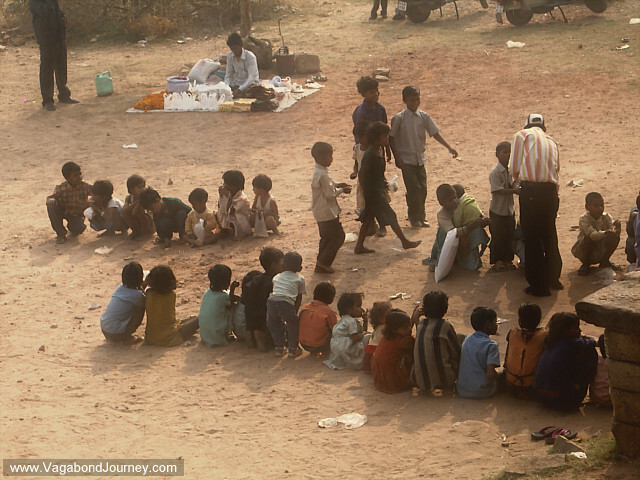 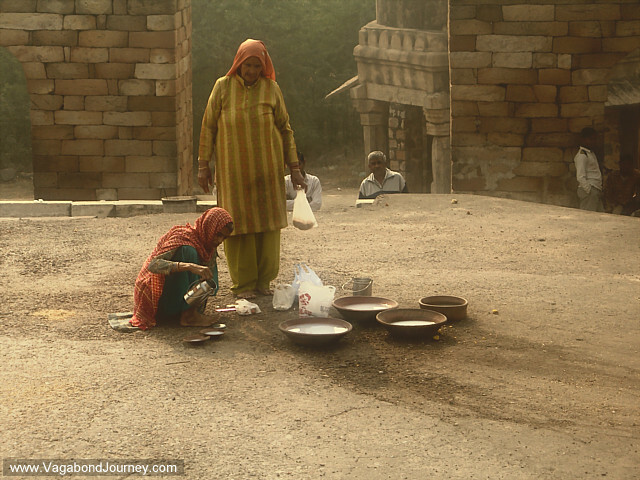 Indian children lining up outside Sufi tomb to be given food. 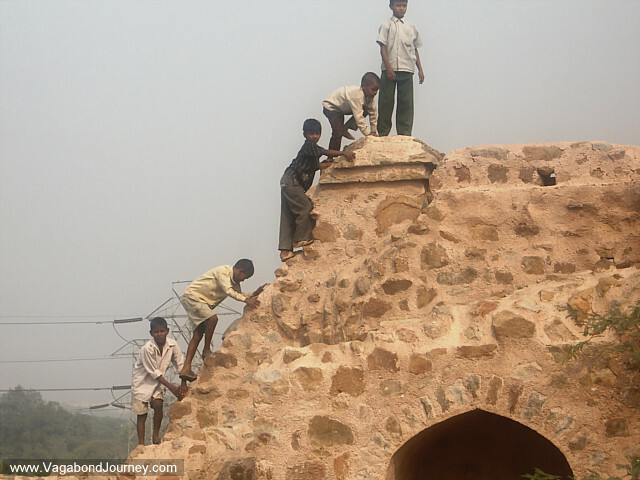 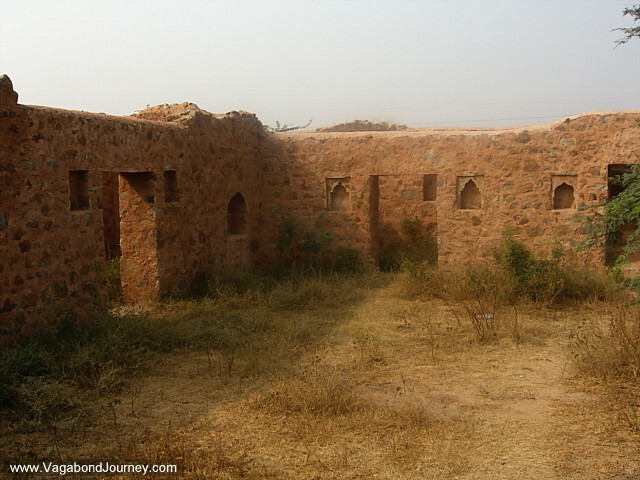 Indian children climbing on top of old ruins outside Delhi. 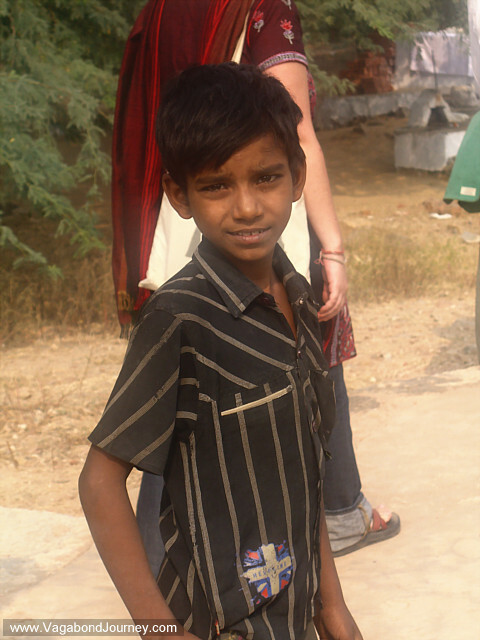 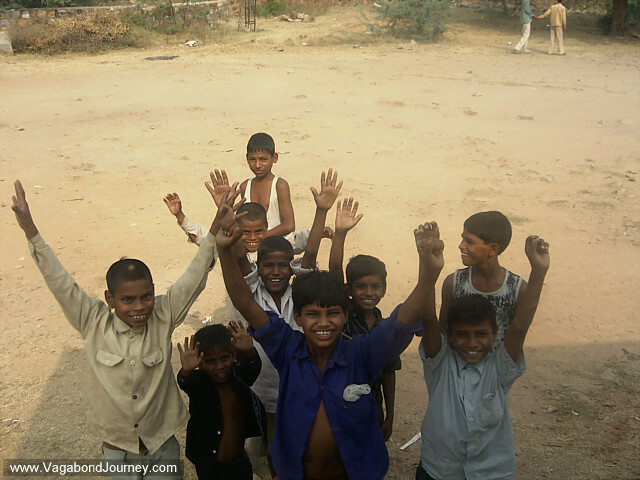 Indian children waving up to the tourist bus. 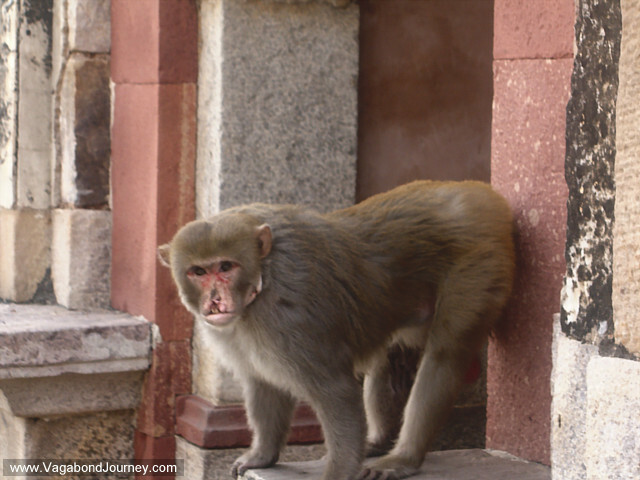 Monkey with busted face in India.